foursquare - 30 Minutes or Less badge! Congrats! 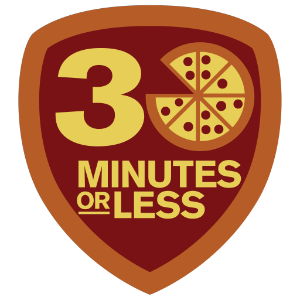 Your recent check-in at Woodstock's Pizza just unlocked the 30 Minutes or Less badge! You're either eating a slice of pizza thinking about robbing a bank, robbing a bank wishing you were eating a slice, or robbing a slice while eating a bank. Either way, be sure to catch 30 Minutes or Less, in theaters August 12. Oh yeah, and #DontBlowIt.